SmartSleeve® optimizes your sleeping comfort, health and the hygiene of your mattress. 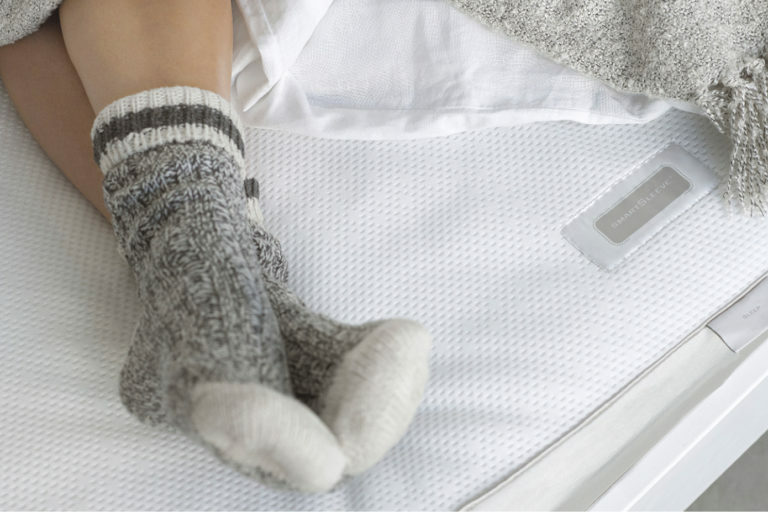 SmartSleeve® combines three top technologies that offer the optimal conditions for a good night’s sleep. Cairfull‘s 3-dimensional cross structure creates a ventilating layer of air within the SmartSleeve®. Movement stimulates the air circulation under the body and the evaporation of the absorbed moisture. The air layer also distributes heat evenly over the entire sleeping surface. Website Cairfull. Purotex uses the technology of active probiotics. Applied on the Smartsleeve®, they reduce the amount of house dust mite allergens by 93,7% two weeks after application! In other words, active probiotics create a fresh and clean sleeping environment. 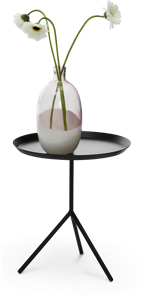 Website Purotex. Purotex®, nature’s own technology for a clean, fresh and healthy sleep environment. Adaptive treats the Smartsleeve® with a temperature sensitive polymer and provides a dynamic response: the warmer it gets, the more Adaptive will evaporate moisture. More evaporation means a dryer and cooler sleeping environment. Website Adaptive. 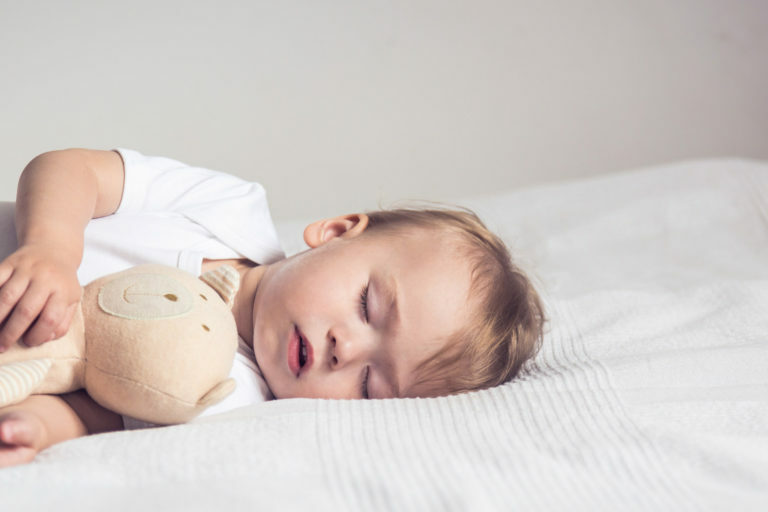 SmartSleeve® also fits perfectly around any baby mattress thanks to its super-elastic sides, fully protecting your mattress and your baby. 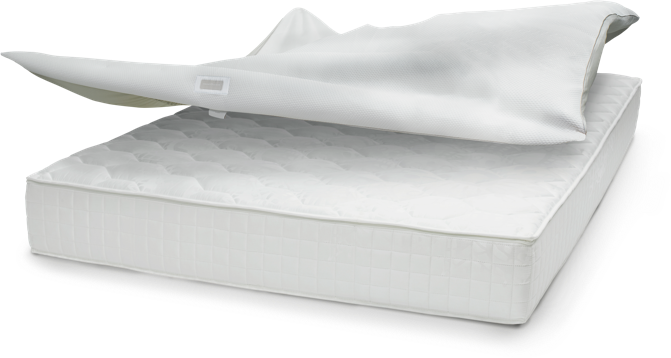 SmartSleeve® Premium is a luxurious mattress protector that fits perfectly around any mattress thanks to its elastic sides in lycra. SmartSleeve® Premium Waterproof adds a waterproof film on the back of the fabric. 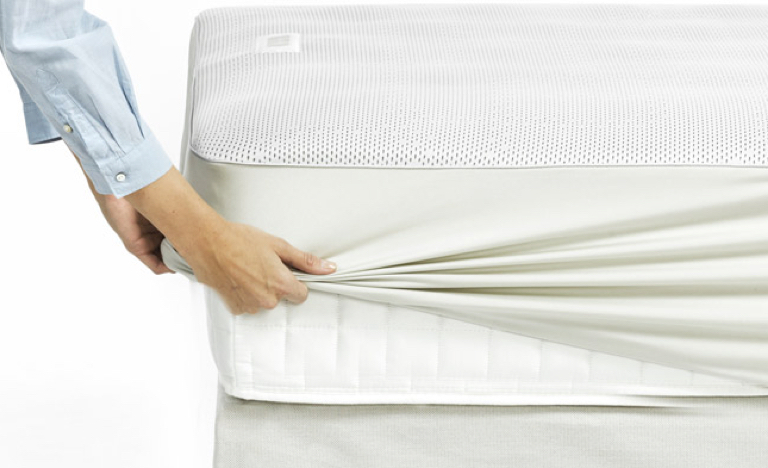 This Waterproof version stops all liquids, ensuring your mattress stays dry and clean. The 3D layer of the SmartSleeve® guarantees a comfortable and ventilating sleeping surface. Thanks to its elastic lycra sides, the SmartSleeve® fits perfectly around your mattress to ensure your entire mattress is protected. 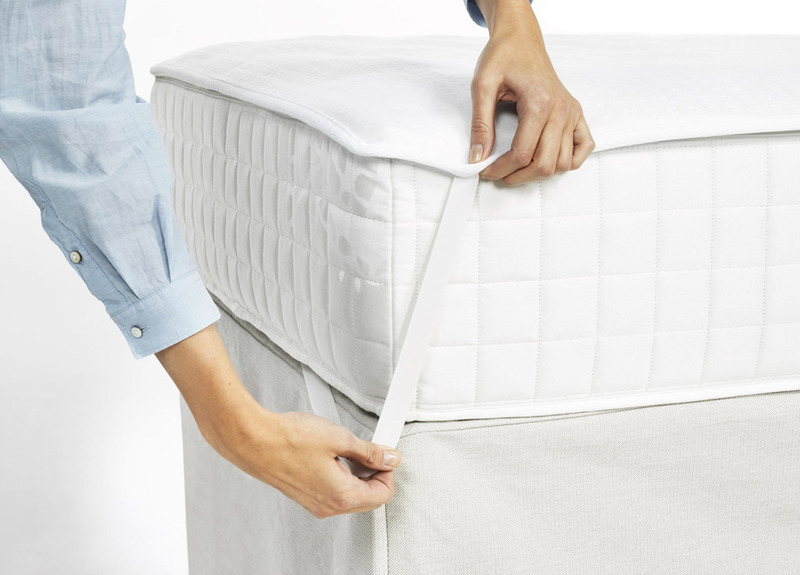 SmartSleeve® Essential is the basic version: 2 elastic straps keep your SmartSleeve® protector attached to your mattress. SmartSleeve® Essential Waterproof adds a waterproof film on the back of the fabric. 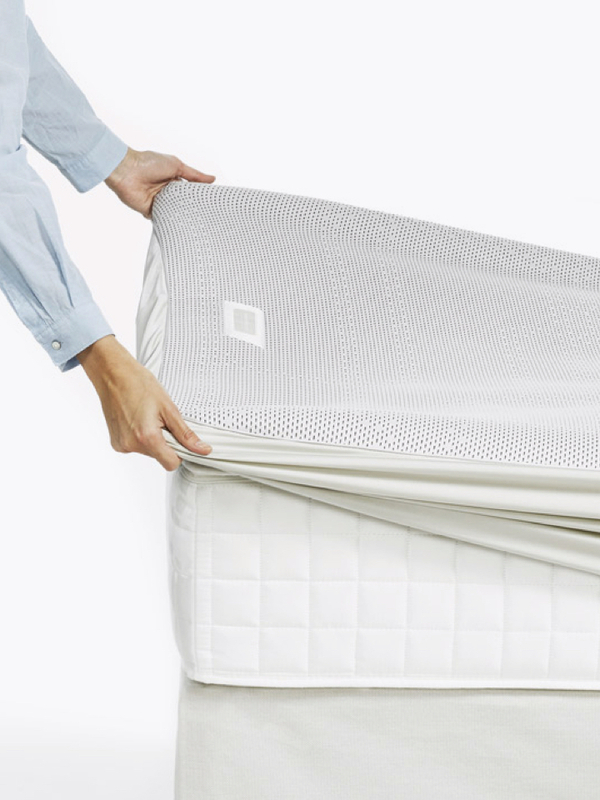 This Waterproof version stops all liquids, ensuring your mattress stays dry and clean. Spread out the SmartSleeve® on top of your mattress. You can easily attach the SmartSleeve® Essential with a strap at the head and the foot of your mattress. SmartSleeve® Pillow is a pillow protector that fits perfectly around your pillow. The pillow protector ensures the optimal conditions for a good night’s sleep thanks to three top technologies. If you want to learn more about SmartSleeve®, don't hesitate to reach out! Contact us here.